Peaceful location with delightful bush gardens & only a short stroll to pristine beach and the natural beauty of Emu Point. Spacious open plan design, Mini Kitchens with Full size fridge/freezer, Hot plate & oven, Microwave, Toaster, Kettle, also Daily room service along with Reverse Cycle Air conditioning in every room. Featuring 40" Digital T.V, Free WI. FI. and very comfy beds with En Suite bathrooms. 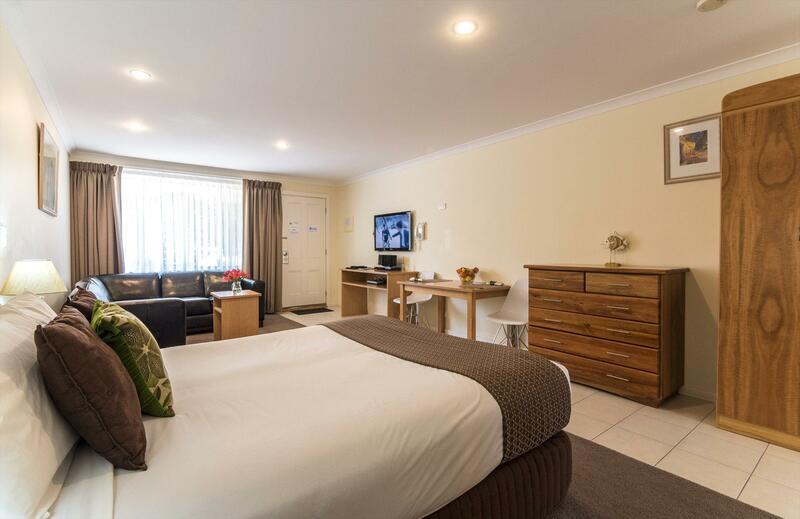 The Classic Studios, Classic Super Kings Studios, Deluxe Apartments and Executive Apartments are suitable for Families, Couples, Corporate and long term stays. Ample Private free parking even for boats & trailers. Office hours 7.30am - 7.30pm. Please advise motel if you intend on arriving after 7.30pm. Please respect we are unable to accept PETS on the property at all times.Room check in time is 2pm and checkout is 10am. 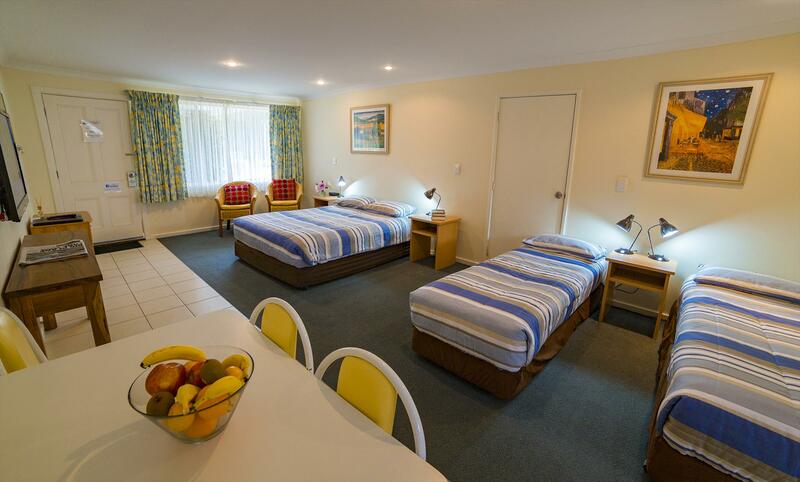 Classic Studio Motel Rooms with clean, spacious open plan sleeping area. Very comfortable Queen and single beds. Fully equipped Mini Kitchen including Microwave, Cooking hot plate, Oven, full size Fridge/Freezer, Tea & Coffee making facilities, en-suite bathroom.Reverse cycle airconditioning and 40" digital T.V. Undercover BBQ area, lovely bushgardens & short stroll to beach, cafe, restaurant & sportsclub. Classic Superking are a comfortable, spacious clean rooms,with King size bedding ,Reverse Cycle Airconditioning, Iron & Ironing board,New Ensuite Bathroom cupboard & Vanity, 40" Digital T.V. WI.FI. Coffee Making facility.Complete with Full size Fridge/Freezer and all your kitchen requirements including Microwave, Hotplate & Oven. Spacious open plan studio style apartments (no seperate bedrooms) with r/c aircon, TV, clock radio, tea & coffee making facilities, fully equipped Mini kitchen including full size Fridge /Freezer & en-suite bathroom. Iron and ironing board. Queen size + 2 single beds. 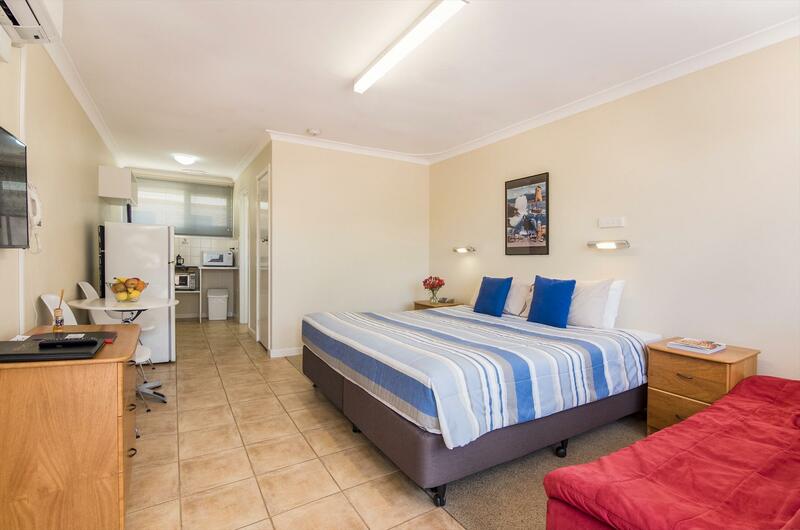 Enclosed BBQ area, lovely bush gardens, short stroll to beach, cafe, restaurant & sportsclub. Spacious open plan room, suit family accommodation with dining table & chairs, Full size fridge/freezer, microwave. kettle, toaster etc. Reverse cycle Air/Con, En suite bathroom, 40" flat screen T.V. plenty of free parking, free Wi. FI. and daily room service. Executive style, spacious open plan studio apartment. 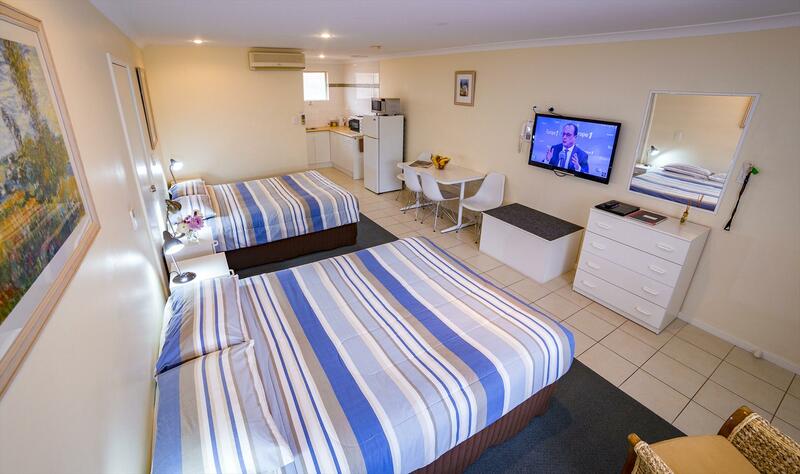 King size bed, leather corner sofa suite.40" Flat screen LED TV, Blu-Ray player, I-Pod docking station/CD player. 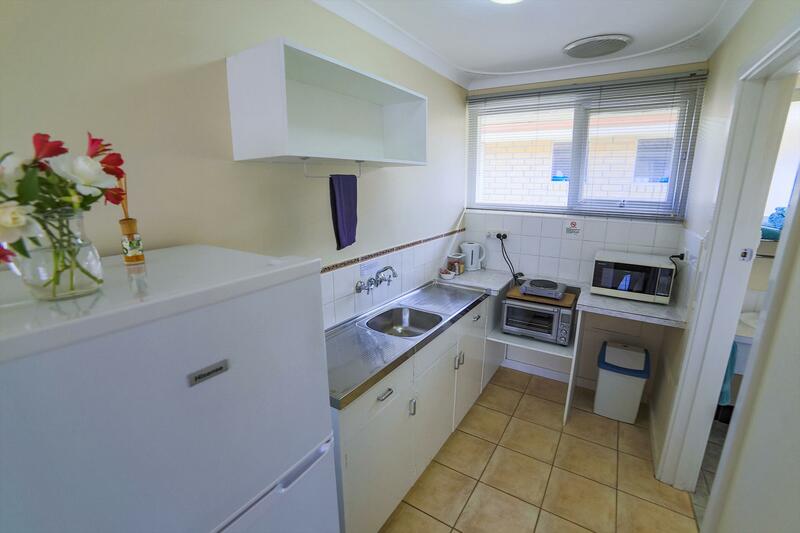 Reverse cycle aircon.,Mini kitchen with large fridge/freezer, microwave, toaster, kettle etc.Free parking outside your door Serviced daily. Cancellation policy is a minimum of 72 hours notice is required prior to your arrival date otherwise the 1st night will be charged. For all bookings made for Christmas holiday time we will be taking a 50% deposit on or after the 1st December refundable on cancellation of bookings before the 15th December. Each- Extra person & child over 2yrs charged $25 per night. In addition there will be a $62 Albany Visitor Centre cancellation fee.